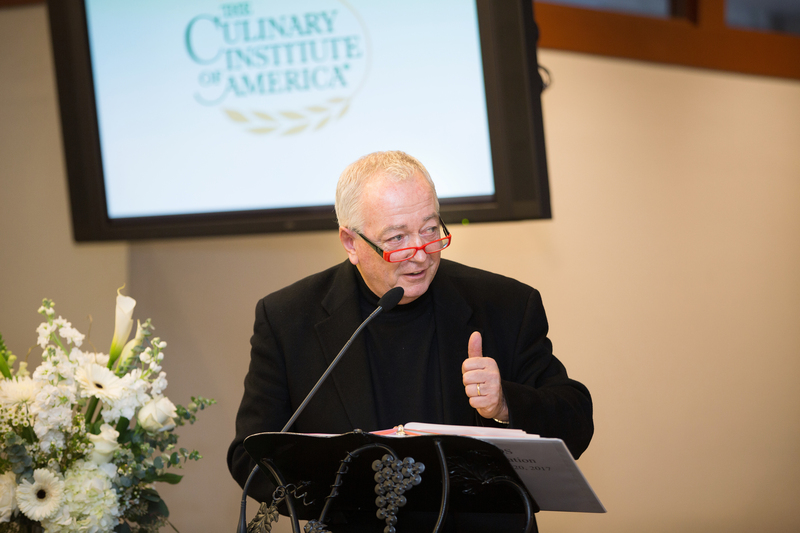 St. Helena, CA – Roland Passot, chef and proprietor of several renowned French restaurants in Northern California, was commencement speaker at The Culinary Institute of America at Greystone in St. Helena, CA on December 20. Growing up near Lyon, the culinary capital of France, Chef Passot began his cooking career as a 15-year-old apprentice. Coming to the United States at age 21, he spent four years in the Chicago area at Le Français—then considered the best French restaurant in America—before settling in San Francisco. Chef Passot’s restaurants include La Folie Restaurant and La Folie Lounge in San Francisco, Left Bank and LB Steak in both San Jose and Menlo Park, and Left Bank in Larkspur. His long list of career accolades include winning the 1990 Rising Star Chef of the Year award from the James Beard Foundation and receiving the Chevalier de l’Ordre du Mèrite Agricole from the French government in 2001. La Folie was inducted into the Nation’s Restaurant News Fine Dining Hall of Fame in 1998 and, to this day, it continues to earn four-star reviews from the San Francisco Chronicle.